Here comes the sun... not sure about you, but I am ready for some warmer weather and no more snow! I agree with one of my favorite bloggers that it is time for some sunshine, so we can wear sundresses and flip flops. Hopefully this little guy is correct and spring is around the corner. So, in anticipation, here is a fun outfit of yellows, greens, and blues. Have a great Wednesday! 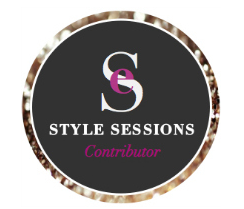 And, one last thing, I linked up with StyleElixir for Style Sessions, so be sure to check out this stylish gal's site and what other fashionable ladies are wearing. I love all of these bright spring colors! So tired of blacks and grays! Yes! I seriously can't wait for spring! All these bright colors make me want winter to go away!! Me, too (as it continues to snow today)! I am ready for some sunny weather!